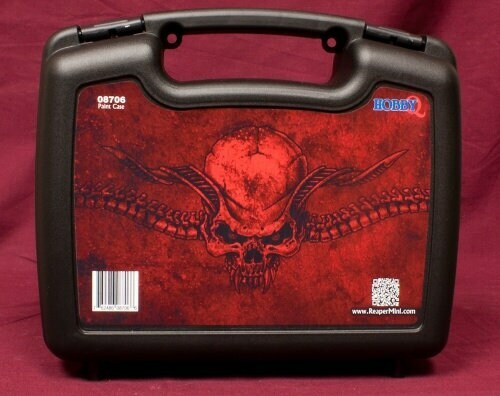 This carrying case is the same hardshell plastic case that all of our boxed sets come in. Containing one layer of rugged foam cut to fit Reaper Master Series dropper bottles and a few paint brushes, you'll be able to transport your paint with ease and in Reaper style! Size approximately 9" x 10.75" x 3".